If you’re interested in information about running for beginners, there are some important things that you must be keeping in mind at all times to ensure that you see nothing but the best results from this new form of training. Many will dive into a running exercise program for beginners without being fully prepared and in turn will sometimes suffer devastating consequences. Either they wind up sidelined due to injury or get burnt out very quickly. Beginner runners often kick off this new form of training with a high level of motivation and enthusiasm, however, due to this desire to push forward relentlessly, they end up developing what’s called overtraining syndrome in the exercise world. To set you off on the right foot, let’s go over a few of the key points that you should keep in mind when starting a running exercise program for beginners. The very best piece of advice I recommend you adhere to when beginning a running exercise program is to take it at a comfortable pace. 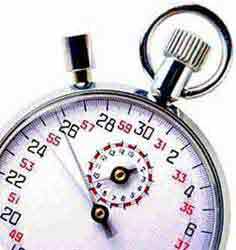 Even if you do have a bit of background in running, don’t try and go for a 30 minute run the very first week. Instead, build up to this. You’re going to enjoy the process a lot more if you’re doing comfortable runs and will find that you reach your end goal sooner as well. If you do decide to follow a structured running program for beginners, make sure that you choose one that is appropriate for your background experience. There will be a running exercise program for those who have run before in the past and a running exercise program for beginners who haven’t ever partaken in this form of activity. Choose one that suits you best. Second, the next vital thing that you must do as you get started with a beginners running exercise program is to make sure that you’re looking after your nutrition. If you’re consuming the wrong foods at the wrong times in the day, you may not have the energy to get through your scheduled runs. 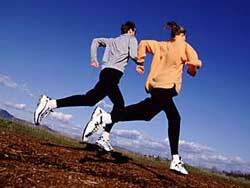 Remember, running is a very intensive activity and will require carbohydrates for fuel. Don’t cut all the carbs out of your diet plan as you will need the energy they provide. Time healthy carb sources before and after your run to support high levels throughout the run and a speedy recover. Pair this with some high quality protein and you’ll be all set. Another must-do as you get started on your beginners running program is to make sure that you schedule other activities in wisely. It would be a good idea to get involved with some strength training workout as well, as these will help to develop the lean muscle mass and strength required to excel at running. But, make sure that you’re also leaving enough time throughout the week for rest and recovery. One mistake that some people make after starting a running exercise program for beginners is adding all these runs to their normal weekly activities. This often presents them with exercise overload and many will get overtraining syndrome and possibly even end up in the cumulative injury cycle. Remember, if you aren’t allowing enough rest between running sessions you’re just going to break your muscles down and move further from your goal, rather than closer. Be sure to always have at least one full day off each week for rest and recovery. In time, you may even benefit from a full blown exercise recovery week. Finally, even if your goal is running, starting off with more of a beginners walking program is something to consider. Alternating between running, jogging, and walking workouts can go a long way towards helping you progress. For example, if you’re very new you’re going to find that you likely can’t run 5 days a week, so instead, go out for a walk on 2 of those days. Walking is a great form of exercise as well and will serve to compliment any running exercise program for beginners. Walking will help you get more comfortable with physical activity in general and will prepare you for the higher intensity and increased wear and tear you’ll experience from running exercise. So there you have it, all the main points to keep in mind as you progress through your beginners running exercise program. If you plan the program out well, make sure you’re looking after your nutrition, and then schedule enough down-time for relaxation and recovery, you can be guaranteed that this is just the beginning of your love affair with the sport of running or walking. If you are seeking advice on running for beginners, you should not underestimate the importance of proper footwear. Since walking, jogging, and running are all repetitive motions, having the proper footwear (socks & shoes) is extremely important to prevent injuries, ranging from blisters to the dreaded plantar faciitis. Due to the sedentary lifestyle, most adults have developed chronic muscle imbalances, which when combined with a running exercise program for beginners can wreak havoc on the entire body from the ankles to the lower back. There is a wide variety of running shoe designs which help control to varying degrees the amount of pronation at the ankle. It is best to buy your running shoes at a specialty store where trained employees can analyze your gait and prescribe you the proper running shoe. Remember, the extra money you spend on a good pair of running shoes pales in comparison to the cost of a physical therapist. If you’re on a tight budget or you don’t have a local runner’s store, you may also want to check out these top rated running shoes on Amazon. There are a great deal of quality running shoes for an affordable price. Just make sure you order shoes that fit you well. This is often an issue when ordering a pair of shoes off the Internet. If for some reason they don’t fit you properly, I highly recommend you take the extra time to return them right away for a pair that does. This will prevent potential problems down the road. Learn the facts about how your body works. Take simple information and apply it to your exercise program to get fabulous results. Learn ways to make your workouts more intense with cross training. Find some example workouts to help you improve your cardiovascular fitness quickly. Even those attempting running for cardio can cross train on other cardio machines. The tips for the beginners running program can be used outside or on a treadmill. 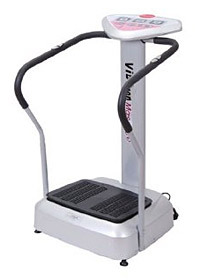 Here are the best cardio machines for running and many other forms of cardio workouts.